Saturday, 14 Sep 2019 at 7:00 PM . First date in 17 years for experimental pop band to co-incide with the 20th anniversary re-issue of their 3 classic LP's. Departure Lounge are Tim Keegan (lead vocals-guitar), Chris Anderson (keys-guitar-sax-vocals), Lindsay Jamieson (drums-keys-flute-vocals), and Jake Kyle (bass-trumpet-vocals). Departure Lounge will be re-issuing deluxe editions of their three albums 'Out Of Here' (1999), 'Jetlag Dreams' (2001), and 'Too Late To Die Young' (2002) in 2019 and have announced rare live dates in September 2019. Active between 1998-2002, Departure Lounge toured alongside The Go-Betweens and Robyn Hitchcock. 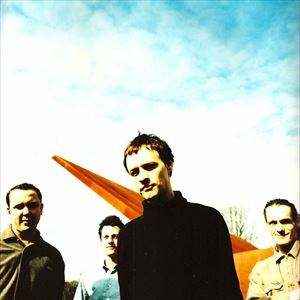 The debut album 'Out Of Here' was voted "Album of the week" by the Sunday Times who declared the album contained “Some of the most wonderful, eclectic, optimistic pop music being created at the moment”. Signing to Simon Raymonde of the Cocteau Twins' label Bella Union, Departure Lounge released the instrumental post-rock LP 'Jetlag Dreams' followed by their last album 'Too Late To Die Young' before dis-banding.